"Interplay had the crown in roleplaying, I'd love to get that crown back," says Brian Fargo. He pauses, laughs. "Me and Obsidian, we'll battle it out." Fargo is in town to show me Wasteland 2, the second part of this year's CRPG trifecta (Divinity: Original Sin, Wasteland 2, and Pillars of Eternity). 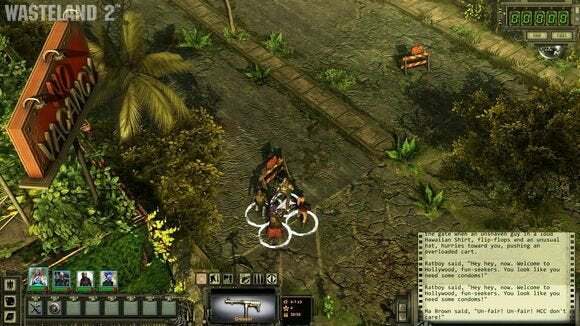 Wasteland 2 is helmed by Fargo's development studio, inXile, and like the other two games mentioned was funded by Kickstarter. 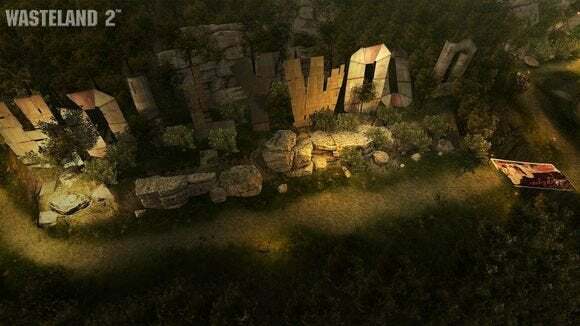 "I pitched Wasteland 2 for eight years. I kept trying. Then when Fallout 3 and Fallout New Vegas came out, they're selling millions of copies, I was like 'This is the perfect pitch!'" says Fargo. "I had the creative guys from Fallout on the team, I had the creative guys from Wasteland on the team, I worked on both the products, there's a demand for it! Nowhere. Nothing. Crickets." "If it wasn't for Kickstarter, I wouldn't be able to make this type of game," he continues. "We ended up spending twice as much money as what we raised on Kickstarter on this game. A lot of people don't know that. Because I wanted to over-deliver with this thing. We're high profile, my personal reputation is on the line, everything about it meant we were betting the farm on this thing." Wasteland 2 is a follow-up to the 1988 Apple II/Commodore 64/DOS classic Wasteland. And, according to Fargo, it's "the opposite of Call of Duty." "They're about the Michael Bay set-piece with a linear experience, and we're all about the non-linear detail-oriented experience," says Fargo. "We've got more words in this game than the Lord of the Rings trilogy—over 500,000 words. It's absolutely massive, and there's tons of content the user will never see." Not just "will never see" but can't see—at least in one playthrough. If you've played The Witcher 2, you might remember that you make a decision at the end of the first act that totally locks you out from half of the game's content—you either follow path A or path B, and ne'er shall the two meet. 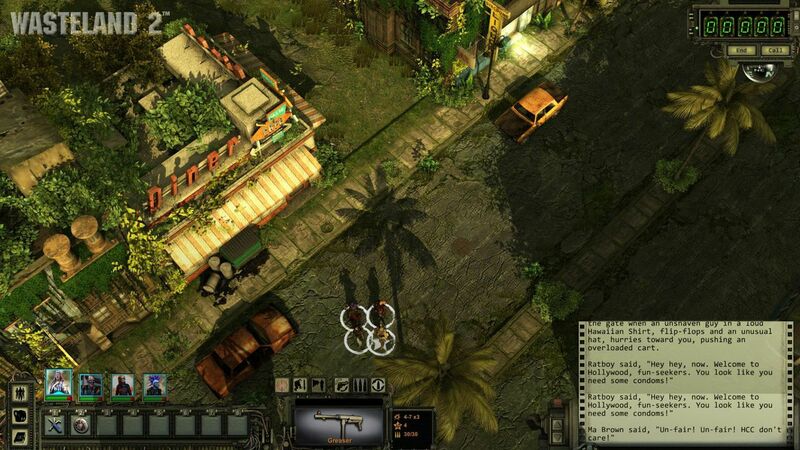 Wasteland 2 takes this idea to extremes. 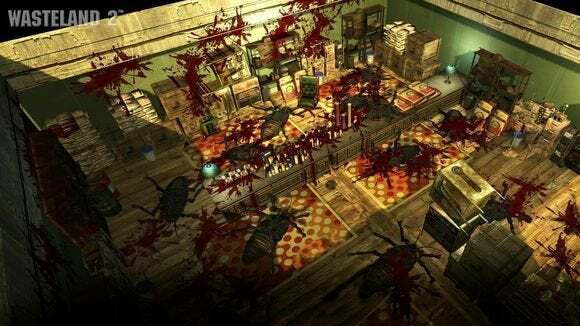 From the hour-long demo Fargo gave me, it seems like you're constantly opening and closing side-paths without even realizing it. For instance, Fargo loads up a brief sequence from the second half of the game, which takes place in Los Angeles. My party has just arrived in LA, and as we walk up the street we see two groups of people—one set bound and gagged, another standing a few feet away acting as executioners. We sit and watch as one by one, the entire group is executed. Then the executioners holster their pistols and walk off, singing about Sampson. "So imagine this is one of the first things you see in LA. You don't know who they are, you don't know who the people getting killed are, but your lack of decision was a decision at this point," says Fargo. "You could jump in at any time and save these people. You're not given the option whether you want to save people yes or no. You just do it or not. And if you don't they just walk off like you don't exist." "You want the Pistol-Packing Priests for stuff later on, but if you took them on and saved the other guys there's a whole other story arc. And of course, it's not a major consequence in this case, but there are people who will say 'You should've saved these poor saps, but you just stood there and let it happen.'" Fargo also takes this time to demonstrate the depths of the game's radio chatter for me. 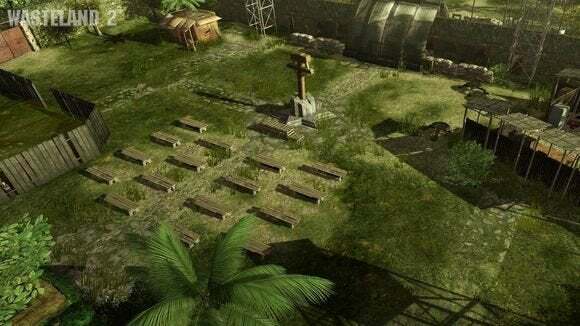 While not all of the dialogue in Wasteland 2 is voiced, InXile has gone to great lengths to set the mood through the radio—going so far as to hire the world's creepiest children's choir to sing about Sampson, deceased leader of the Pistol-Packing Priests a.k.a. the group we just saw execute all those people. Fargo loads another save. This time we approach a base run by the Mad Monks, the Servants of the Mushroom Cloud, a faction from the original Wasteland that believes radiation was beneficial for mankind and that worships the "Great Glow." In this scenario Fargo is returning from a quest without finding the materials he was sent out for. "This scene right here, you could be through this in a couple of minutes or an hour and a half, all depending on how you do it," says Fargo. "They've sent you out to get this radioactive goo. We can talk about it, try to negotiate, or say 'No, you're in trouble.'" He does the latter, and we're in combat. After taking down a few Monks, they threaten to detonate a nuclear bomb. As the countdown ticks lower and lower with each turn, another monk finally runs out and tries to stop the fighting. The nuke is disarmed, and he presents you a second choice—either submit to arrest or not. "You want to keep fighting, you choose the Death option. That turns this into an hour and a half slugfest, hostile map to get through these mobs," says Fargo. Instead, we submit to arrest. "So now we're in a jail cell, and he has a job for us. You can say you're willing or not willing. So now you've got yet another branch, which is a whole new mission you wouldn't see otherwise. Or you say you're not willing and he says 'Fine, rot in jail' and you have to fight your way out." You could even cut out the entire second half of the game. And the developers plan for some people to do so, and even have a built-in ending to accompany that direction. "You can go hostile against the rangers themselves and become an enemy of the state and the world just takes a different turn, and you don't even get to go to the LA part of the game," says Fargo. "But you can still win the game! You can beat the rangers, credits will roll, you get the epilogue, the whole deal. You get a different ending." Decisions upon decisions upon decisions. Fargo says their maxim is teaching the player how to think, rather than leading the player along—that the scripters are off building in hidden occurrences at every turn. "They tell me about this little touch, like 'If this guy is in this party under these nine conditions and this happens...'" says Fargo. "All we've been doing for the last seven or eight months is building in nuance after nuance," he continues. "There's a tortoise on the ground and if you flip it over, like the old Blade Runner thing, if you flip it over it starts crawling really slow, and you can follow it for like ten minutes. And after ten minutes or so it sinks into the ground, and if you dig right there you find a cache of great stuff. But you have to be really patient to do it. "I get as excited about that little thing as I do about any big feature."